The Bombay High Court on Wednesday held that Brihanmumbai Municipal Corporation’s move last year to park a fire engine and construct a temporary shed inside the Priyadarshani Park at Napean Sea Road was illegal. 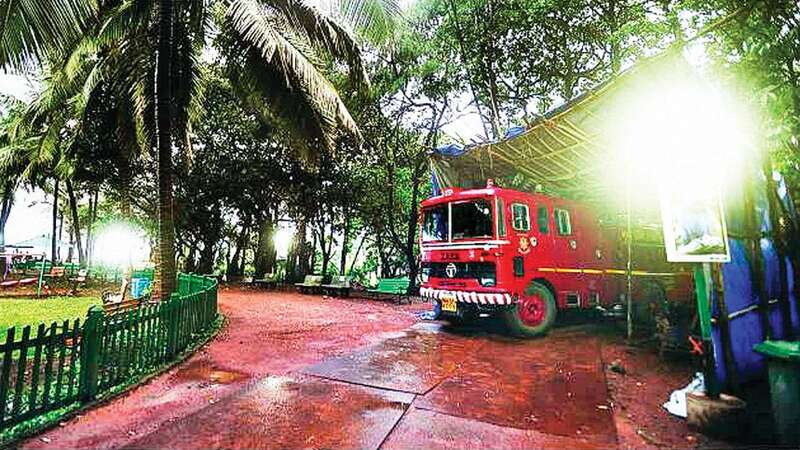 Malabar Hill Citizens Forum, which has been fighting a legal battle with the corporation over who would manage the affairs of the park, spread over 65,000 square metres, had challenged the forcible stationing of the fire engine. However, as per the records, the Superintendent of the Gardens issued a notice in April 2017 which could have lapsed only in July 16, 2017. But the corporation, on June 14, 2017, stationed the fire engine, which was done illegally, as the lease agreement was still in existence. The fire engine has been removed from the park after the HC had, in October last year, rapped the civic body for disobeying earlier orders. The long-drawn legal fight began in 2006, when the forum filed a PIL challenging the decision of the corporation to post a fire engine in the park. On June 5 last year, the petition came to be dismissed for non-prosecution (non-availability of petitioners advocate). On June 14, 2017, the corporation posted the fire engine inside the park. The resident moved a plea for restoration of the PIL, and by an order of June 19, 2017, direction for maintaining status quo was given, which was not followed, stating that the order could not have been passed. Among other things, the court has declined the prayer sought by the forum seeking direction to the planning authority to modify the development plan and shift the reserved, area for post office and fire engine, from the park to another nearby plot. The court said the forum can make appropriate representation to the authorities. Next week, the court will take up a petition filed by the forum challenging the notice issued by the BMC, claiming breach of agreement norms and seeking to take back the park from the forum. On June 5 last year, the petition came to be dismissed for non-prosecution.